In certain respects, raising a cat is like raising a child—or so I assume. Sure, the cat doesn’t need clothes or to be reminded to brush her teeth or to be read to sleep at night, but there are parallels. For instance, when I leave for too long I have to find a sitter, and I clip her toenails every so often. I’m sure raising a child is a difficult job, but at least they don’t require cat food. It was only after jogging and showering tonight I remembered we were running out of cat food. Scout the spoiled cat gets pretty vocal when she’s hungry, and often tends to dart for the kitchen any time I even step in that general direction. She’s a bit of a whiner, and the prospect of making her go without food until afterschool tomorrow seems a little cruel for her and miserable for me. So I headed out the door just before 8:00 p.m.
Safety and security after dark on a Tuesday night in Apia isn’t much of a problem; Samoa’s crime rate is relatively low. Terrain is the lousiest part of walking around after dark. Apia’s sidewalks (when they’re there) are not pedestrian-friendly, and street lights leave a lot to be desired. There are puddles and loose rocks and strange obstacles jutting out of the ground in the middle of pedestrian walkways. When he visited, my dad freaked out about the darkness along certain streets and the inability of drivers to see pedestrians. Meh. Par for the course. 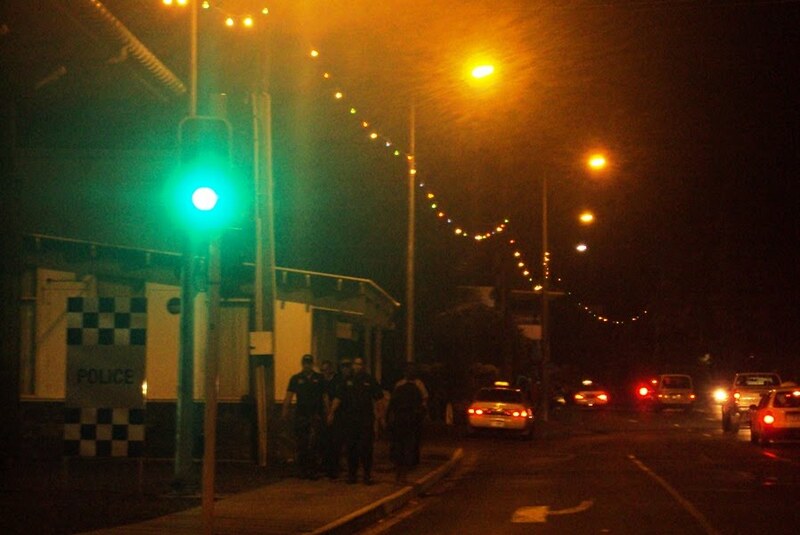 The walk always offers a spectrum of Apia’s nightlife. The bars and nightclubs are loud and busy on most weeknights. Walking past the Catholic church a Fa’afafine greeted me and asked if I’d like to take her home. No, thanks. Cappuccino Gardens was still open, but it’s clientele was light on a Tuesday night. When I rounded the corner from there, I saw a lot of people congregating around the movie theatre and far more cars than usual lining the street. It was just about time for the 8:00 show, and I wondered what was playing that had people showing up in droves. So I wandered over. Big surprise. Eclipse, the newly released installment was showing. Samoans, like the rest of the world, go wild for those movies. I haven’t seen any of them. Farmer Joe, as always was abuzz an hour before closing. They seem to do good business wall-to-wall during the stores open hours, and it’s a wonder more stores in town don’t follow suit. I found a medium-sized can of Chef brand chicken-flavored cat food. Done and done. 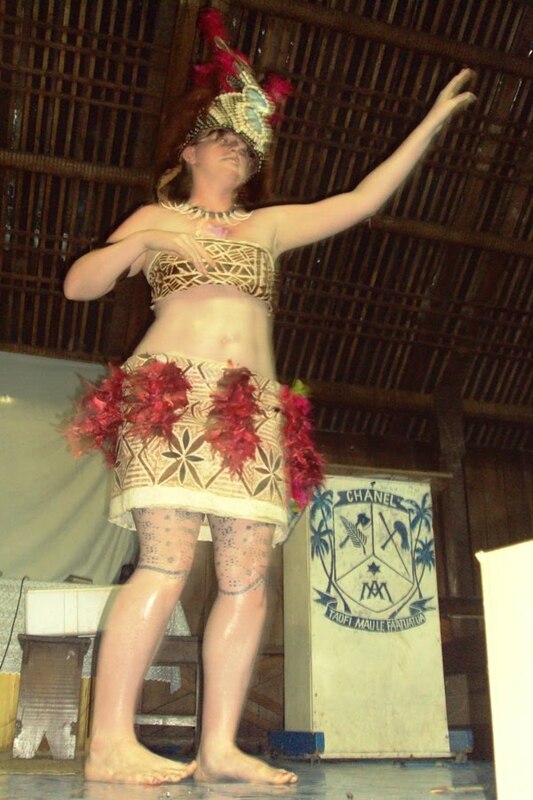 The walk home didn’t have movie crowds or fa’afafines, but still, never a boring night in Apia. 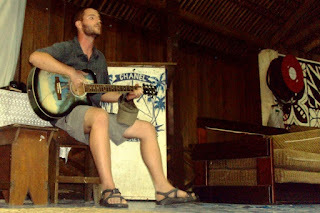 Matt 82 playing guitar at Saturday's fa'amavae, going away party, for group 80. First up I cant beleive you walked to the store on the otherside of Apia, rather than catching a $2 taxi ride. 2ndly was the fafafine, even a little bit tempting? ha ha jokes! Chanel College is a wonderful place. Faafafine, a she?